Whether you’re a student looking for a part-time job, an electrician seeking work closer to home, or a teacher moving to another state to be close to family, finding a job can be difficult. With job postings scattered across the web, newspapers and help wanted signs, it’s not always easy to find ones that are a good fit based on your unique needs and skills. As a result, many job seekers feel like they can’t find the job they’re looking for or apply to roles that aren’t the right fit. At the same time, 46 percent of U.S. employers face talent shortages and have issues filling open positions with the right candidate. 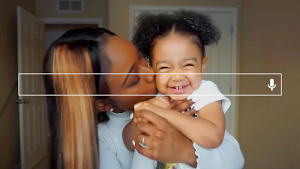 We have a long history of using our technology to connect people with crucial information. At I/O, we announced Google for Jobs, a company-wide initiative focused on helping both job seekers and employers, through deep collaboration with the job matching industry. 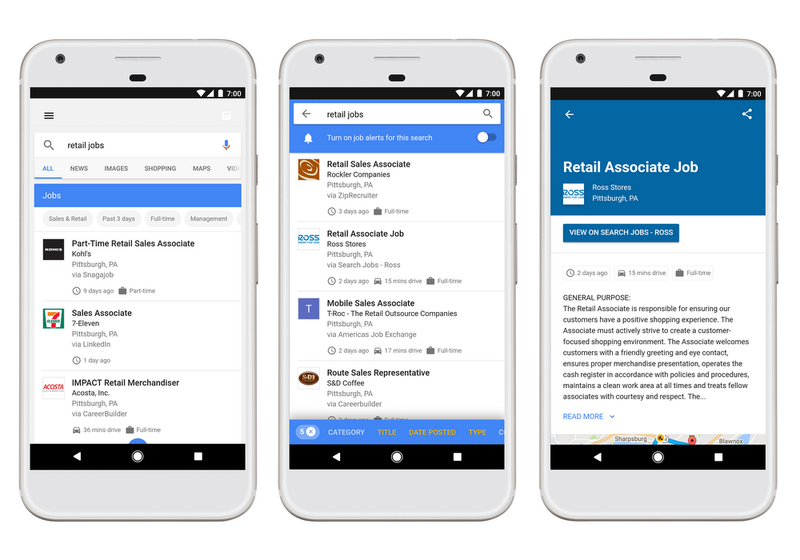 This effort includes the Cloud Jobs API, announced last year, which provides access to Google’s machine learning capabilities to power smarter job search and recommendations within career sites, jobs boards, and other job matching sites and apps. Today, we’re taking the next step in the Google for Jobs initiative by putting the convenience and power of Search into the hands of job seekers. With this new experience, we aim to connect Americans to job opportunities across the U.S., so no matter who you are or what kind of job you’re looking for, you can find job postings that match your needs. 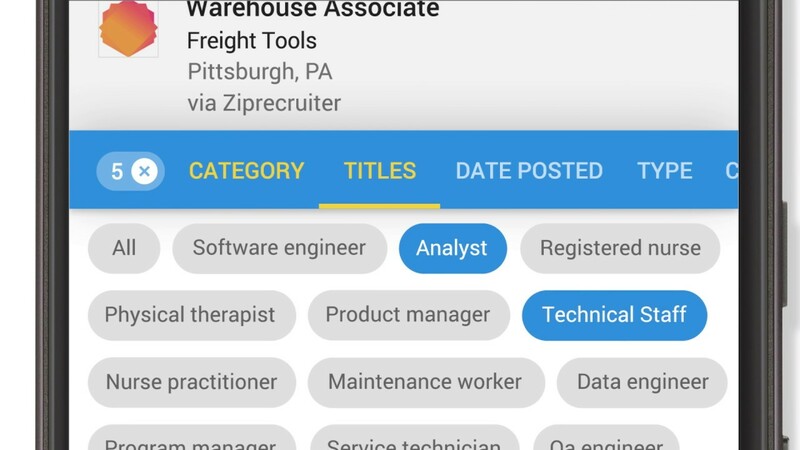 Starting today in English on desktop and mobile, when you search for “jobs near me,” “teaching jobs,” or similar job-seeking queries, you’ll see in-depth results that allow you to explore jobs from across the web. For many people, a job needs to satisfy some key criteria, like commute time, job specialties they've honed or the hours they have available to work. For many jobs, you’ll also see reviews and ratings of the employer from trusted sites, right alongside the job description, and if you’re signed in, for some jobs you’ll even see how long it would take to commute to the job from home. We’ll continue to add additional filters and information in the future. Looking for jobs is a personal and complex journey, and one that we’re trying to support in this new search experience. Searching for a job can take time. And keeping up with new jobs that are posted throughout the day can be impossible. Now, if you step away from your job search, you can pick up right where you left off and stay in the loop on opportunities that interest you. Just turn on alerts for your search to receive an email notification whenever new jobs arrive, keeping you up-to-date and on top of your job hunt. We’re working with a number of organizations from across the industry to bring you the most comprehensive listing of jobs—including LinkedIn, Monster, WayUp, DirectEmployers, CareerBuilder, Glassdoor and Facebook. This means you’ll see job postings from these sites and many others from across the web as soon as they’re posted. To ensure even more jobs are listed over time, we’re publishing open documentation for all jobs providers, from third-party platforms or direct employers, big or small, detailing how to make their job openings discoverable in this new feature.